It’s a new year, and at the start of each year, it’s time to update your copyright metadata templates! Adding your copyright information to your photos is important, and it’s easy, too. 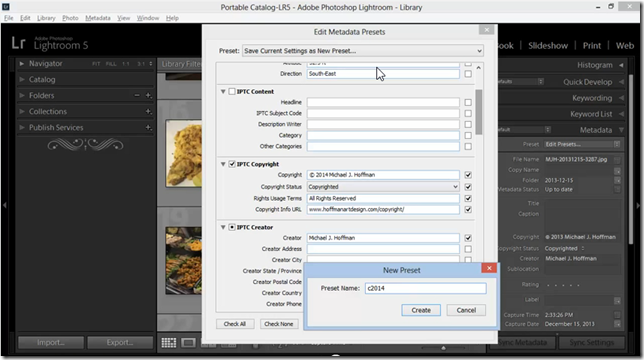 Here’s how you can use Lightroom’s metadata presets to create quick templates to apply your copyright information, both to existing photos in your library, and to new photos during the import process. 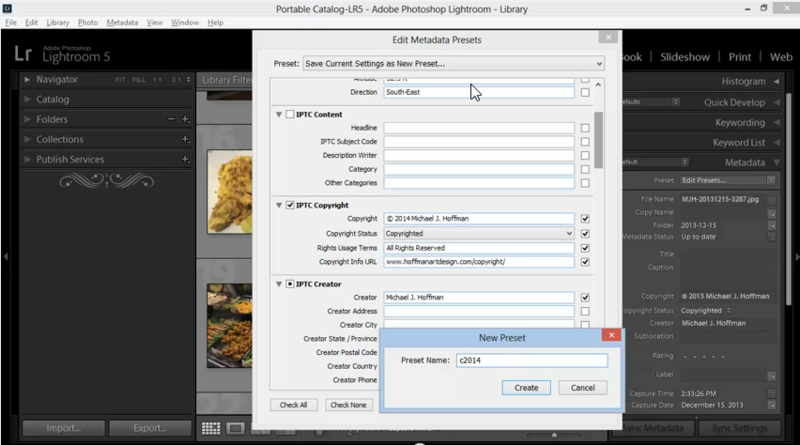 This entry was posted in Lightroom, Tutorial, Video and tagged Copyright, Metadata, Template. I noticed in a couple of videos you made reference to a copyright file on your website. i.e. http://hoffmanartdesign.com/copyright or http://hoffmanartdesign.com/usage. However, I couldn’t find those file on your site. I was looking to use them as a template for our site. I’m guessing something has changed and your doing something different.